Standards compliant, complete system solutions for healthcare, education and commercial washroom applications. Reliance's washroom systems range is designed to offer architects, specifiers and building operators with complete solutions for shared use and individual washroom applications. Although suitable for any commercial or public sector building environments, Reliance's range of specialist taps, showers and accessories are particularly ideal for healthcare, care homes, schools and further education establishments, leisure and public buildings and secure facilities. 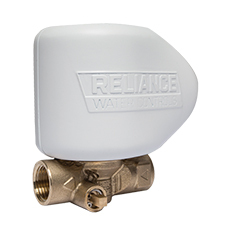 The Reliance washroom range provides thermostatic, anti-ligature, anti-vandal and HTM64 compliant designs with time, sensor and autoflush controls. Reliance washroom systems provide solutions for individual safety protection plus system control to help provide building operators comply with legislation and best practice with total peace of mind.